Brody Miller uses his imagination to design the Nike Air More Uptempo for the Nike 2017 Doernbecher Collection. 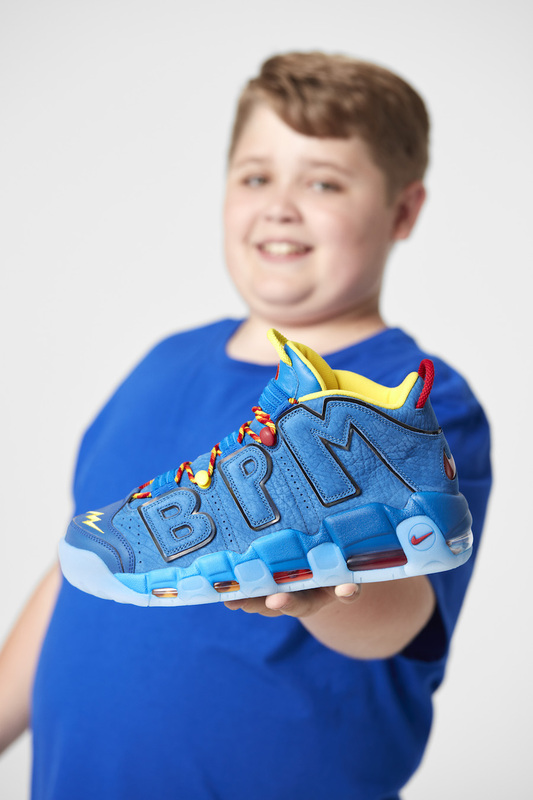 To help in his fight against complex brain malformation, Brody Miller, an aspiring comic book artist, dreamed up an alter ego, Generator Man, who is featured on his Air More Uptempo. Look for the Nike Air More Uptempo Doernbecher to release on November 18th at select retailers and Nike.com. All proceeds from the sales of the collection to benefit OHSU Doernbecher. UPDATE: Nike releases official photos of the Doernbecher Air More Uptempo.